There were several notable decisions that were published this past week, our favorite being Wilson v. Pharmerica Corp. Long Term Disability Plan, No. CIV.A. 14-12345-LTS, __F.Supp.3d___, 2015 WL 1962812 (D. Mass. May 1, 2015), where the court ordered Aetna to respond to discovery requests relevant to its conflict of interest in administering the plaintiff’s long-term disability claim. These discovery requests sought information about the medical experts who conducted the allegedly “independent” medical reviews of plaintiff, including how often a particular expert determined that an insured was disabled and not disabled. The court also ordered Aetna to produce information about how much it paid to a third-party vendor through which it obtained medical expert reports. Our guess is probably somewhere between a lot and a lot. Enjoy this week’s case summaries! Aetna must respond to discovery requests relevant to its conflict of interest in administering long-term disability claim. In Wilson v. Pharmerica Corp. Long Term Disability Plan, No. CIV.A. 14-12345-LTS, __F.Supp.3d___, 2015 WL 1962812 (D. Mass. May 1, 2015), a dispute involving a denial of long-term disability benefits, Plaintiff filed a discovery motion which included requests for documents and responses to interrogatories. Plaintiff sought: (1) documents which relate to Aetna’s adjudication of her claim; and (2) documents and responses to interrogatories which relate to Aetna’s conflict of interest, as Aetna both insures and administers claims for LTD benefits. The court ordered Aetna to produce the portion of the instruction manual, policy manual, and internal interpretations or guidance pertaining to the Plan’s twenty-four month limitation exception. The court also ordered Aetna to respond to certain interrogatories, and for experts it identifies in one interrogatory, to report the total number of evaluations each expert performed for Aetna in 2011 and 2012 and, for each year, a breakout of the number of times in which the expert concluded the insured was disabled and not disabled. The court further ordered Aetna to: (1) report the total compensation it paid to MES (a third-party medical review vendor) in 2011; (2) explain Aetna’s basis for determining how much to compensate MES in 2011; (3) explain the basis or method for compensating the experts it identifies; and (4) produce documents showing its procedures, if any, to prevent or to mitigate the effect of structural conflicts. Governmental plan exemption does not apply to University Medical Center since it is not a political subdivision, agency, or instrumentality of Kentucky. In Milby v. Liberty Life Assur. Co. of Boston, No. 3:13-CV-00487-CRS, __F.Supp.3d___, 2015 WL 1968840 (W.D. Ky. Apr. 30, 2015), the court denied Plaintiff’s motion to remand her state law claims related to the denial of her employer-provided long-term disability benefits, finding that University Medical Center (“UMC”) is not a political subdivision, agency, or instrumentality of Kentucky under ERISA’s governmental plan exemption. UMC is not a political subdivision under the Hawkins County test because neither Kentucky nor its arm, University of Louisville (“U of L” -a state institution), directly created UMC. Further, no special act of the legislature or a public official brought UMC into existence and UMC does not bear sufficient indicia of sovereignty to be deemed a political subdivision. The court also found that UMC is not an agency or instrumentality of Kentucky according to the multi-factor test created by the IRS for the following reasons: (1) U of L does not control the everyday operations of UMC; (2) no specific legislation created UMC; (3) UMC maintains a financial separation from U of L; (4) U of L lacks the removal power to control and discipline Board members once they are appointed or elected; and (5) UMC’s employees are not considered employees of U of L, and UMC’s employees are not entitled to public employee benefits. Finally, UMC is not an agency or instrumentality of Kentucky under the employment-relationship test since UMC clearly functions as a private enterprise in relating to its employees. Because UMC does not meet the “governmental plan” exception, the court found that all of Plaintiff’s claims are preempted by ERISA. District court award of monthly defined benefit payment based on unexplained calculation in benefit statement is reversed and remanded. In Reilly v. Cont’l Cas. Co., No. 14-2888, __F.3d___, 2015 WL 2081418 (7th Cir. May 6, 2015), the court reversed and remanded the district court’s decision ordering Continental to pay Plaintiff a $5,400 monthly defined pension benefit based on a 1999 benefit statement. In 2012, Continental sent Plaintiff a different calculation, showing lower compensation and entitlement to roughly $4,200 a month. The district court concluded that Continental’s decision was arbitrary and capricious and ordered it to pay monthly benefits at the $5,400 level. Continental appealed, contending that its calculation should have been sustained, and if not that the district court should have remanded for a new calculation rather than ordering payment at the rate projected in 1999. The district court found Continental’s 2012 decision to be arbitrary and capricious because it was not based demonstrably on the Plan’s definition of “compensation.” Continental asserted that the 1999 statement reflected Plaintiff’s qualifying compensation plus a “benefit salary,” but “benefit salary” is not a term used or defined in the Plan. Continental did not explain why $164,747.16 is the right number for 1994 and did not show how it had ascertained Plaintiff’s top 60-months’ compensation. However, the court determined that to show that $164,747.16 is an unexplained number does not justify a judicial award of a $5,400 monthly pension. The district court needed to determine, or allow the administrator to determine, the right number, and not just to assume that whatever had been estimated in 1999 is Plaintiff’s entitlement. 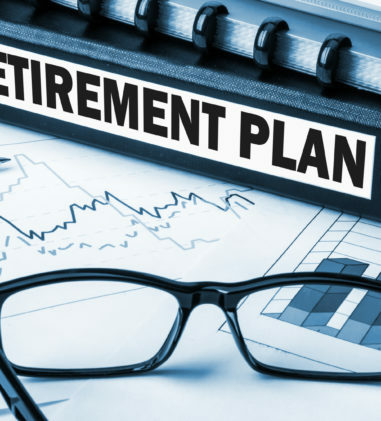 Plaintiff also did not offer a calculation in support of the pension to which he claims entitlement and the only way to reach a reliable decision is to apply the Plan’s terms to Plaintiff’s qualifying compensation, one month at a time, to find the top-60-month average. If the parties cannot agree, then the district court must remand this matter to Continental so that the administrator can make a fresh calculation, which then could be subjected to another round of judicial review. A Plan is not “established” or “maintained” by a government entity based on school districts’ participation in the Plan that was established by a union. In Wilson v. Provident Life & Acc. Ins. Co., No. C14-1479RSL, __F.Supp.3d___, 2015 WL 1941334 (W.D. Wash. Apr. 29, 2015), the court found that the “Washington Education Association Group Plan W-138 Plan 11,” a group insurance plan underwritten by Provident and “established and maintained” by the Washington Education Association (“WEA”) is not a governmental plan exempt from ERISA. Provident issued the Plan to the WEA, and the Plan covers (a) employees of the WEA and its affiliates and (b) employees of Washington public school districts that elect to participate in the Plan. The Plan was not the product of collective bargaining, but the result of a separate negotiation between the WEA and Provident; the District merely “elected” to participate in the Plan. The court found that the Plan was independently created by the WEA for the benefit of its employees along with government employees, and the evidence does not suggest that school districts played any direct role in the Plan’s creation. Private plans do not become public plains merely through the participation of public employers. Because the Plan is not a governmental plan, the court denied Plaintiff’s Motion to Remand. 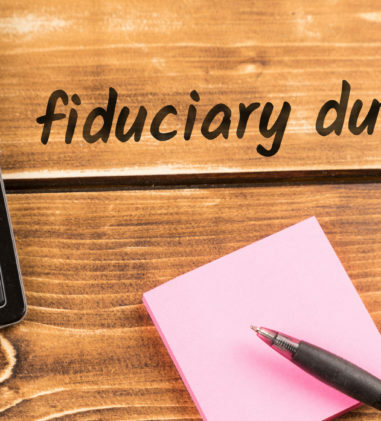 ERISA fiduciary exception to employee liability insurance applies to fiduciary duty to inform a participant about life insurance conversion rights. In Fed. Ins. Co. v. Am. Home Assur. Co., No. 1:14-CV-929-SCJ, 2015 WL 1964303 (N.D. Ga. Apr. 30, 2015), Plaintiff, Federal Insurance Company, filed suit against Defendant, American Home Assurance Company, for contribution, indemnity, and declaratory relief to recover a payment it made to settle a claim made against Career Systems Development Corporation, a subsidiary of Owl Companies, an insured of both Federal and American Home. The settled claim involved an ERISA breach of fiduciary duty claim against Career Systems for failing to inform a former employee of his right to convert group life insurance although it was aware that the employee had terminal cancer. The American Home Employee Benefits Liability Endorsement contained an ERISA exclusion which provides that the Endorsement does not apply to damages for which any insured is liable because of liability imposed on a fiduciary by ERISA. Although ERISA does not require notice of conversion rights for life insurance, the court found that the duties of an ERISA fiduciary are not limited to those requirements expressly set forth in the statute. An ERISA fiduciary has a duty to disclose material information and to inform a beneficiary of material facts when it knows the beneficiary is not aware of them. The court found that Career Systems was acting in a fiduciary capacity when it failed to provide its employee with notice of his conversion rights as to his life insurance policy. As such, the ERISA exclusion in the American Home policy applies. The court denied Plaintiff’s motion for summary judgment and granted Defendant’s motion for summary judgment. Court approves class action settlement for interest on delayed lump-sum retirement payments. In Stephens v. US Airways Grp., Inc., No. 07-1264 (RMC), __F.Supp.3d___, 2015 WL 1949749 (D.D.C. Apr. 30, 2015), the court wrote an Opinion to further explain its grant of the parties’ Joint Motion for Final Approval of Class Action Settlement and Class Counsel’s Motion for Approval of Attorneys’ Fees and Expenses. The court approved of a $5.25 million class action settlement to remedy claims of certain retired U.S. Airways pilots. The Class consists of pilots who chose to receive a lump sum payment as a full or partial distribution of their retirement benefits, but who did not receive their lump sum payment on the first day of the month after the pilot retired and did not receive interest on the delayed payment. The court granted Class Counsel’s motion for an award of $2 million in attorneys’ fees, $75,000 in litigation expenses, and a maximum of $75,000 for settlement administrative expenses. After accounting for attorneys’ fees and costs, the settlement amount represents a recovery of over 70% of the damages for the Class based on an administrative delay of 45 days at 6% interest, without prejudgment interest. In Taveras v. UBS AG, No. 14-4009, __Fed.Appx.___, 2015 WL 1934576 (2d Cir. Apr. 30, 2015), the court determined that the district court did not err in denying the Plus Plan Plaintiffs’ motion to revive their duty-of-prudence claims in light of the Supreme Court’s decision in Fifth Third Bancorp v. Dudenhoeffer, 134 S.Ct. 2459 (2014). In March 2011, the district court granted Defendants’ motion to dismiss the entire consolidated Amended Complaint, including the Plus Plan Plaintiffs’ duty-of-prudence claims, holding that the fiduciaries of both plans were entitled to the then-established “presumption of prudence” under Moench. On appeal from the final judgment, the Second Circuit affirmed the dismissal of all of the Plus Plan Plaintiffs’ claims and denied their motion for panel rehearing or rehearing en banc on their duty-of-prudence claims. The time to petition for a writ of certiorari expired on August 5, 2013, rendering the judgment dismissing those claims final. In Int’l Union, United Auto., Aerospace, & Agr. Implement Workers of Am. v. Kelsey-Hayes Co., No. 2:11-CV-14434, 2015 WL 1906133 (E.D. Mich. Apr. 28, 2015), Plaintiffs challenge Defendants replacement of health insurance for retirees over age 65 with health reimbursement arrangements. Defendants also assert the right to further alter or terminate retiree healthcare in the future. In an order on an unopposed motion for class certification, the court certified the following class: Employees who retired under the 1998 collective bargaining agreement from the UAW-represented unit at the now-closed Kelsey-Hayes/TRW Detroit, Michigan plant and the retirees’ surviving spouses and other dependents eligible for company-paid retiree health insurance. In Daus v. Gardiner, No. CV 11-67, 2015 WL 1969140 (D.V.I. May 1, 2015), Plaintiff alleged that she never received a “COBRA letter” after she was fired, and claims that by failing to provide her with such, “Defendants have violated the COBRA law.” Plaintiff did not allege that Defendants’ Group Health Plan was covered by ERISA, that Defendants either were the administrator of the Group Health Plan or that they did not notify the administrator of the Group Health Plan of Plaintiff’s termination, or that Defendants had more than 20 employees. 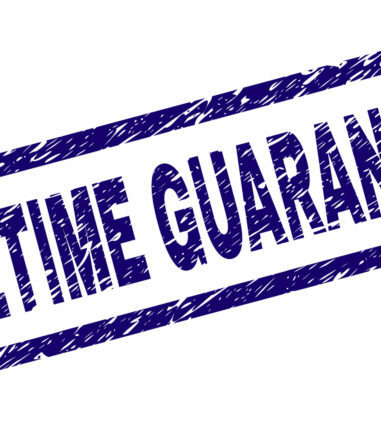 With respect to this last requirement the court disagreed that it is an affirmative defense that Plaintiff is not required to anticipate in its pleadings. Accordingly, the court dismissed Plaintiff’s COBRA claim without prejudice and granted Plaintiff leave to file an amended complaint on this claim. In De Leon-Serrano v. Nw. Selecta, Inc., No. CIV. 13-1474 DRD, 2015 WL 1968598 (D.P.R. May 1, 2015), the court rejected the employer’s argument that the notice requirements in 29 U.S.C. § 1166, which use the term “shall,” are permissive rather than mandatory. 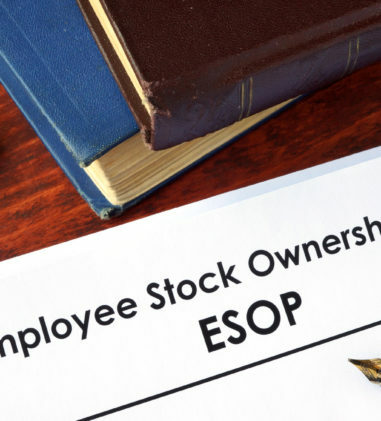 To adopt employer’s argument would allow an employer or a plan administrator to properly decide not to inform its employees or qualified beneficiaries of their rights to continuing coverage, which does not comport with the purposes of ERISA. The court determined that Defendant failed to adequately notify Plaintiffs of their right to continuing health coverage, which is subject to penalties of 29 U.S.C. §§ 1132(a)(1)(A) and 1132(c)(1). Under these provisions, the Court has the discretion to award Plaintiff any amount from $0 to $110 per violation. The court ordered a status conference to discuss (a) whether a jury is required to determine any factual aspect of this case3, (b) whether Plaintiffs’ claim for reimbursement of medical expenses is preempted by the statutory penalties of ERISA, and (c) whether there is any need to continue discovery in the instant case. In Brown v. Fed. Exp. Corp., No. 14-5777, __Fed.Appx.___, 2015 WL 2056463 (6th Cir. May 5, 2015), the court affirmed the district court’s decision that FedEx’s denial of short-term disability benefits was not arbitrary and capricious. Plaintiff alleged that several doctors had diagnosed her with Lyme disease and thyroiditis, but Aetna Life Insurance Company, the claims administrator, denied her request for benefits due to the contradiction between negative lab results and her doctors’ diagnoses. The court found that Aetna did not act arbitrarily and capriciously in concluding that the opinions of her doctors did not establish – or were not based on – “significant objective findings” as required by the Plan. Aetna did not need to credit a diagnosis predicated on a “multitude of symptoms” since the STD Plan clearly states that observable symptoms may not be the basis for a finding of disability. In Nolley v. Bellsouth Long Term Disability Pl an For Non-Salaried Employees, No. 14-13470, __Fed.Appx.___, 2015 WL 1947390 (11th Cir. May 1, 2015), the court affirmed the district court’s decision granting summary judgment in favor of Defendant on the pro se plaintiff’s ERISA claims because Sedgwick’s (the third-party administrator) decision to terminate her LTD benefits was not “de novo wrong.” Although Plaintiff’s psychiatrist concluded that she was incapable of working due to her depression, his progress notes indicate that the majority of her cognitive processes were within normal limits. 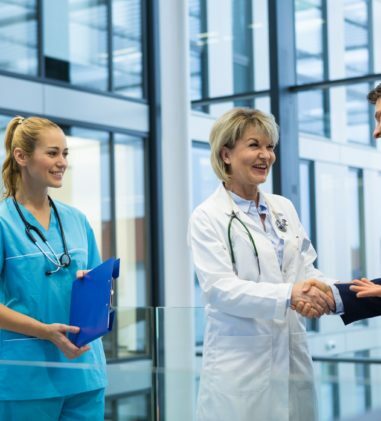 Multiple independent physician advisors concluded that there were no objective findings substantiating the conclusion that Plaintiff was unable to work. The court found that Sedgwick’s benefits decision was not wrong simply because it denied Plaintiff’s claim based on her failure to furnish objective medical evidence of her disability. The relevant Plan document specifically provided that LTD benefits would terminate if Plaintiff failed to furnish objective medical evidence demonstrating the continuing nature of her disability, and the claims administrator may rely on such a provision in making its determination to terminate benefits. In Duda v. Standard Ins. Co., No. CIV.A. 12-1082, 2015 WL 1961170 (E.D. Pa. Apr. 30, 2015), Plaintiff, an orthopedic surgeon and co-owner of Northwest Orthopaedic Specialists, LLC (“Northwest”), applied for total and partial disability benefits under a policy issued by Standard Insurance Company. Plaintiff alleged that an accident in 2000 and 2007 triggered his entitlement to benefits under the policy. Northwest (as the Group Policy Sponsor) and Plaintiff’s business partner and co-owner of Northwest also sued Standard (“Northwest Plaintiffs”). With respect to the ERISA claim against Standard, the court found that Standard did not abuse its discretion by defining Plaintiff’s Own Occupation without reference to pre-2006 data regarding his practice, despite his claim that his wrist injury began to manifest in 2002-2003. 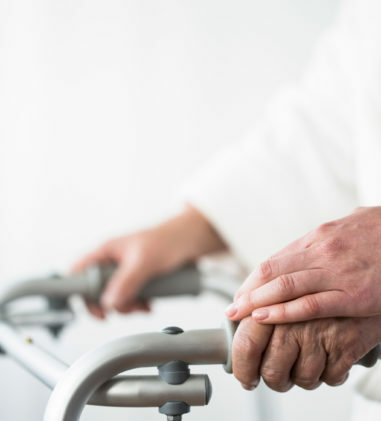 Because Plaintiff successfully returned to practice before the degenerative condition manifested itself, the court found that there is no reason to treat his situation differently than any ordinary claim for total disability. The court also concluded that the Northwest Plaintiffs had Article III standing to sue Standard but lacked statutory standing under Section 502(a)(3). Northwest is not a fiduciary under ERISA, but in any event, ERISA does not afford fiduciaries a cause of action for benefits. Further, all of the relief sought by the Northwest Plaintiffs are or would have been achievable by Plaintiff himself under Section 502(a)(1)(B). In Hershberger v. Liberty Life Assur. of Boston, No. 1:CV-13-2795, 2015 WL 1945022 (M.D. Pa. Apr. 29, 2015), Plaintiff challenged Liberty Life’s denial of “any occupation” disability benefits, where Plaintiff alleged work impairment due to coronary disease, hypertension, diabetes, sleep apnea, and diabetic peripheral neuropathy. In determining whether Liberty Life’s determination was arbitrary and capricious, the court gave the conflict-of-interest factor some weight as Liberty Life is responsible for both benefit determinations and payment of benefits, and as its disability determination under the Policy was inconsistent with the Social Security Administration’s determination that Plaintiff was disabled under the Social Security Act. 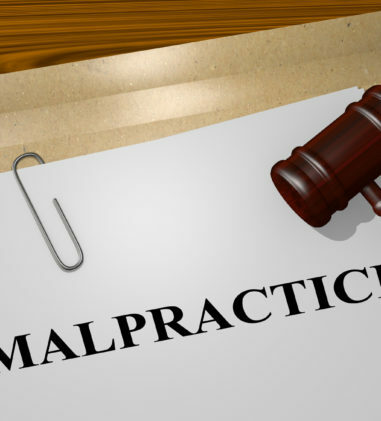 However, the court determined that Liberty’s treatment of medical opinion evidence was reasonable, where it rejected earlier opinions of treating physicians and credited other opinions advanced by other treating and consulting physicians. Liberty Life had Plaintiff’s claim reviewed by Dr. Albert C. Fuchs (consulting internist), Dr. Raye L. Bellinger (consulting cardiologist), Dr. Mark Nathan (consulting cardiologist), Dr. Lucien Parrillo (consulting internist), Dr. Ira M. Fox (consulting podiatrist). In Thomason v. Metro. Life Ins. Co., No. 3:14-CV-00086-P-BF, 2015 WL 1914557 (N.D. Tex. Apr. 27, 2015), Plaintiff challenges Defendants’ decision to offset his long-term disability benefits by $1,250/month as a result of his direct rollover of his pension benefits into an IRA. Plaintiff moved to compel MetLife to respond to certain discovery requests. 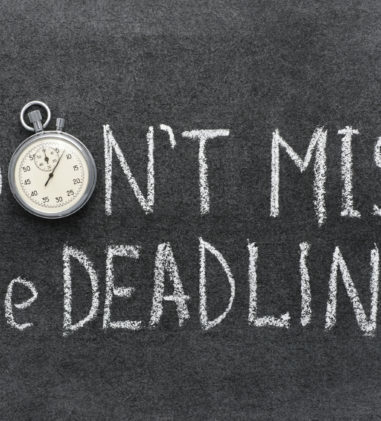 The court determined that MetLife’s responses to request for admissions seeking information regarding the rollover of Plaintiff’s pension benefits to an IRA and whether the rollover was accomplished by a “direct trustee-to-trustee transfer” were not evasive. The RFA concerning whether Plaintiff’s rollover was a direct trustee-to-trustee transfer improperly asks MetLife for a legal conclusion. The court denied Plaintiff’s motion to compel MetLife to fully answer RFPs seeking “[a]ll correspondence, guidelines, policies, procedures, forms, manuals and other written instructions” that governed the denial letter authors’ “role as a fiduciary” with respect to their handling of Plaintiff’s claim and “[a]ll correspondence, guidelines, policies, procedures, forms, manuals and other written instructions” that govern a claims administrator’s “role as a fiduciary.” The court also denied Plaintiff’s challenges to MetLife’s responses to discovery requests seeking information about the application of pension offsets on other occasions. However, the court did grant Plaintiff’s motion with respect to interrogatories which seek information regarding other claims under the same LTD plan that governs Plaintiff’s claim or other plans with the same language, determining that evidence of how MetLife has interpreted the governing LTD plan and/or identical offset provisions in other plans is relevant, or reasonably likely to lead to other relevant information, and therefore discoverable. In Thomason v. Metro. Life Ins. Co., No. 3:14-00086-P-BF, 2015 WL 1914527 (N.D. Tex. Apr. 27, 2015), the court denied Plaintiff’s motion to compel against Defendant Verizon Employee Benefits Committee (“VEBC”) to produce discovery in this matter. Here, it is undisputed that Plaintiff’s claims are governed by the 2008 summary plan description for the LTD plan for Verizon’s management employees so Plaintiff’s requests concerning the 2005 summary plan description for the LTD plan governing non-management employees is not applicable to Plaintiff’s claims, and discovery regarding the development of language used in the 2005 summary plan description is not relevant. In Saunders v. Ford Motor Co., No. 3:14-CV-00594-JHM, 2015 WL 1980215 (W.D. Ky. May 1, 2015), Plaintiff asserted a state law insurance bad faith claim, under KRS 304.12-230, arising from alleged improper processing of benefits under Ford’s self-funded ERISA employee benefit plan. The court found that this clearly “relates to” an employee benefit plan and therefore falls under ERISA’s express preemption clause, § 514(a), 29 U.S.C. § 1144(a). The court also concluded that because the proposed bad faith claim could not withstand a Rule 12(b)(6) motion to dismiss, Plaintiff’s proposed amendment is futile and his bad faith claim is dismissed. In Trigg v. Merck Sharp & Dohme Corp., No. CIV.A. 14-6063, 2015 WL 1954212 (E.D. Pa. May 1, 2015), Plaintiff brought claims under the ADEA and Pennsylvania Human Relations Act, alleging that the reason for his termination is a pretext for age-based discrimination. The court found that the amended complaint should not be dismissed for failure to exhaust administrative remedies under ERISA or due to ERISA preemption or that Plaintiff was not entitled to severance under the terms of the Separation Benefits Plan. The court did not read the amended complaint to include a claim for severance benefits under ERISA, but rather that the allegations relating to denial of severance supported his claim that younger team members were offered severance packages when terminated. It may well be that Plaintiff was not eligible for Merck’s severance plan, but that fact goes to the employer’s burden of production, under McDonnell Douglas, to articulate a legitimate non-discriminatory reason for its adverse employment action. However, should Plaintiff assert a claim for severance benefits under an ERISA plan, Defendant may raise any and all affirmative defenses to such a claim, including failure to exhaust. In Lewis-Burroughs v. Prudential Ins. Co. of Am., No. 14-CV-1632 KM, 2015 WL 1969299 (D.N.J. Apr. 30, 2015), Plaintiff submitted an administrative appeal to Prudential and then supplemented her appeal with the results of a functional capacity evaluation that Prudential had not specifically requested. When Prudential did not render a decision within 90 days of the date Plaintiff submitted her appeal, Plaintiff filed suit and Prudential filed a motion to dismiss based on a failure to exhaust, arguing that it had 90 days after Plaintiff supplemented her appeal to make a decision. The court determined that the parties are bound by the appeal process set forth in the Plan, which states that Prudential “shall” decide an appeal no later than 90 days after “the receipt of [the plan holder’s] appeal request.” The court explained that this literal reading of the Plan is strongly supported by 29 C.F.R. § 2560.503-1(i), which expressly states that the deadline for deciding an appeal begins when the “appeal is filed”…”without regard to whether all the information necessary to make a benefit determination on review accompanies the filing.” The court rejected Prudential’s argument that the Plan and the ERISA regulations allow for tolling of the 90-day deadline in this circumstance. Both the Plan and the Regulations require that: (1) the plan holder must have failed to provide information “necessary” to the resolution of the appeal; (2) before the initial 45-day period expires, Prudential must send the participant written notice that it is claiming the extension; and (3) that notice must list the “necessary” information that Prudential requires from the participant. 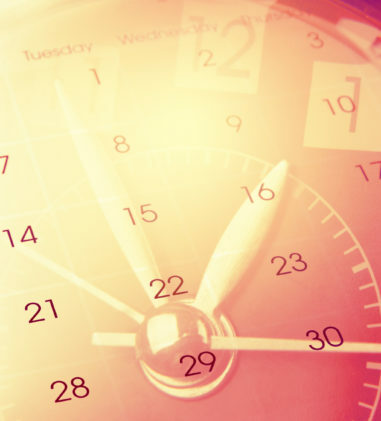 Also, even if these conditions were met, the 90-day clock does not restart from zero, rather the clock is suspended from the date that Prudential sends the notification of extension until the date the participant furnishes the “necessary” information. The court also found that the substantial compliance doctrine does not affect Plaintiff’s right to commence this action. Accordingly, the court denied Prudential’s motion to dismiss. In Locklear v. Sun Life Assur. of Canada, No. 4:14-CV-00401, 2015 WL 1964675 (M.D. Pa. May 1, 2015), Sun Life denied Plaintiff AD&D benefits for her deceased husband, taking the position that his death occurred during the commission of a crime. The decedent died from injuries sustained in a collision after he attempted to pass a construction vehicle in a no-passing zone. Sun Life believed that violations of Pennsylvania Vehicle Code, 75 Pa.C.S. §§ 3301, 3714, and 3736 were properly classified as crimes. The court noted that in Pennsylvania, an offense must carry the possibility of imprisonment or death in order to constitute a crime. Offenses for motor vehicle violations are not contained in the Pennsylvania Crimes Code, but in the Vehicle Code. Under this straight-forward definition of a crime under Title 18, the court found that none of the decedent’s Vehicle Code violations constitute a crime. With respect to Sun Life’s argument that the decedent’s actions constitute reckless endangerment, the court found that Sun Life failed to raise this issue at the administrative level and cannot provide post hoc rationales for its denial of benefits, especially where it had possessed adequate facts to deny benefits on the ground of reckless endangerment. Regardless, the court found that a denial of benefits on this basis would not be appropriate. Sun Life failed to carry its burden that the decedent possessed the mens rea necessary to commit reckless endangerment of another person and therefore be excluded from coverage. As such, the court denied Sun Life’s motion for summary judgment and granted Plaintiff’s motion for summary judgment. In Burnick v. Office & Prof’l Employees Int’l Union, No. 14-C-1173, 2015 WL 1898310 (E.D. Wis. Apr. 27, 2015), Plaintiff brought suit against both Local 35 and the Office and Professional Employees Union (“OPEIU”) to enforce her right to life, dental, vision, and health insurance coverage. OPEIU filed a motion to dismiss, which the court granted. The court determined that the Plan was created by the collective bargaining agreement between Local 35 and the Employees Union, and possibly also a 2008 letter agreement. OPEIU was not a party to any of these agreements and OPEIU never assumed any obligations created by those agreements. Thus, OPEIU’s payment of some of Plaintiff’s insurance premiums without assuming any continuing obligation to do so did not transform it into a plan sponsor that is liable for continuing to provide vested benefits. In Hogan v. Jacobson, No. 3:12-CV-820-DJH, 2015 WL 1931845 (W.D. Ky. Apr. 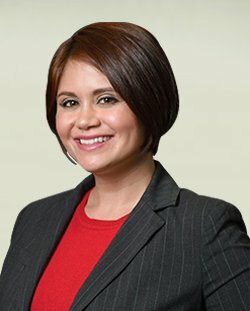 28, 2015), the court dismissed Plaintiff’s interference claim against two LINA employees who reviewed her medical records in connection with her long-term disability claim. The court found that aside from the fact that Hogan was not employed by Defendants, she does not allege any action by either of them that is prohibited under ERISA section 1140. Plaintiff alleged that Defendants provided opinions concerning her diagnosis and treatment, including her physical and mental restrictions and limitations. One defendant concluded that there was a lack of clinical evidence to support Plaintiff’s reported symptoms. 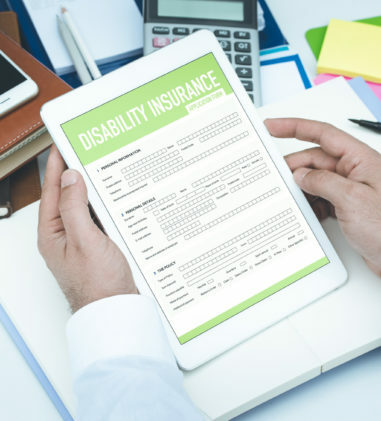 Plaintiff alleged that Defendants sought to render a diagnosis and treatment conclusion that would prevent her from becoming eligible to receive her long-term disability benefits for their own financial gain, both in terms of favorable performance reviews and in compensation. Nothing in Plaintiff’s amended complaint could be read to suggest that she was discharged, fined, suspended, expelled, disciplined, or discriminated against. In Bilheimer v. Fed. Exp. Corp. Long Term Disability Plan, No. 13-1859, __Fed.Appx.___, 2015 WL 2058811 (4th Cir. May 5, 2015), the court affirmed the district court’s application of de novo review to the Plan’s decision on Plaintiff’s long-term disability claim because Aetna, who made the decision on appeal, did not have discretionary authority to do so. Appeals of benefits denials are handled by an appeal committee, and FedEx, the administrator of the Plan, is charged with appointing this appeal committee. Originally, FedEx appointed its internal Benefit Review Committee to serve as the appeal committee, but in 2008, the director of FedEx’s Employee Benefits Department recommended that the Board outsource all long-term disability appeals to Aetna. The Board approved this recommendation, but did not expressly state that the Board was appointing Aetna as the appeal committee contemplated under the Plan. FedEx and Aetna amended their service agreement such that Aetna became fully responsible for final appeal benefit determinations for the disability plans. The court construed the term “appoint” to incorporate the notion of a selection and designation process and not to include “outsource.” In order to comply with the Plan the Board needed to actually designate Aetna as the appeal committee, which it did not do. In Gordon v. Metro. Life Ins. Co., No. 5:10-CV-05399-EJD, 2015 WL 1940209 (N.D. Cal. Apr. 29, 2015) (Not Reported in F.Supp.3d), the court determined that abuse of discretion review would apply to MetLife’s disability claim decision, despite that MetLife failed to render a decision on Plaintiff’s appeal. The court explained that Plaintiff did not suffer any substantive harm from MetLife’s conduct, distinguishing this case from Blau v. Del Monte Corporation, 748 F.2d 1348 (9th Cir.1984), where the evidence showed that the administrator failed to comply with virtually every applicable mandate of ERISA. However, the court did observe that procedural violations of ERISA’s requirements are evidence of arbitrary and capricious decisionmaking. The court will conduct the review with a heightened degree of skepticism and will consider additional evidence submitted with Plaintiff’s notice of appeal.